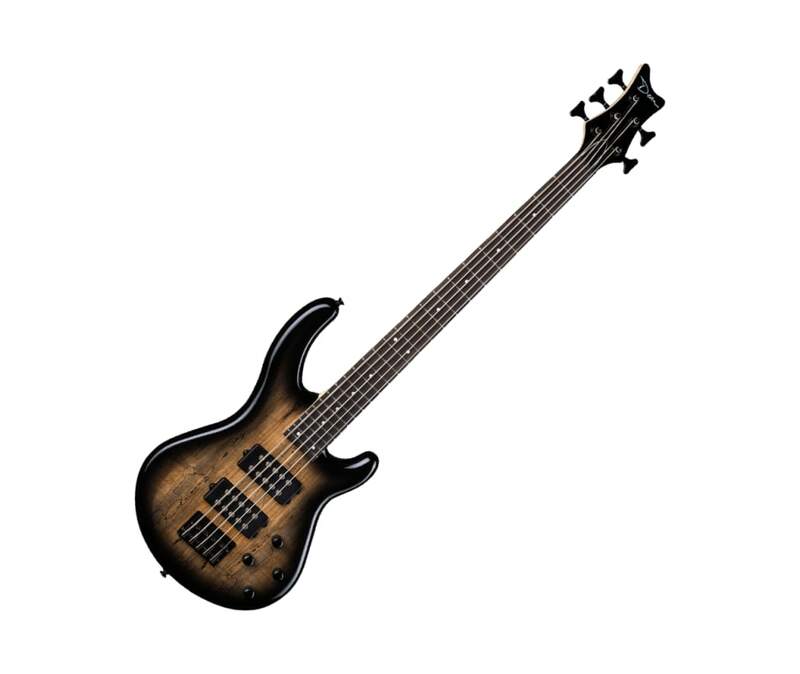 The Dean Edge 2 Electric Bass reflects every bit of Dean's 20-plus years of experience in designing bass guitars. It has a light basswood body that is styled and contoured for comfort. The 34" scale maple neck is profiled to be fast playing and sleek feeling. A custom design neck joint and heel along with an asymmetrical 4-bolt pattern creates uninterrupted access all the way up the 2-octave rosewood fretboard. DMT Design pickups deliver a clean low-end that cuts through the thickest mix. Cosmetic touches include black hardware, pearl dot fingerboard markers, and a beautiful gloss finish. Get your wings today!